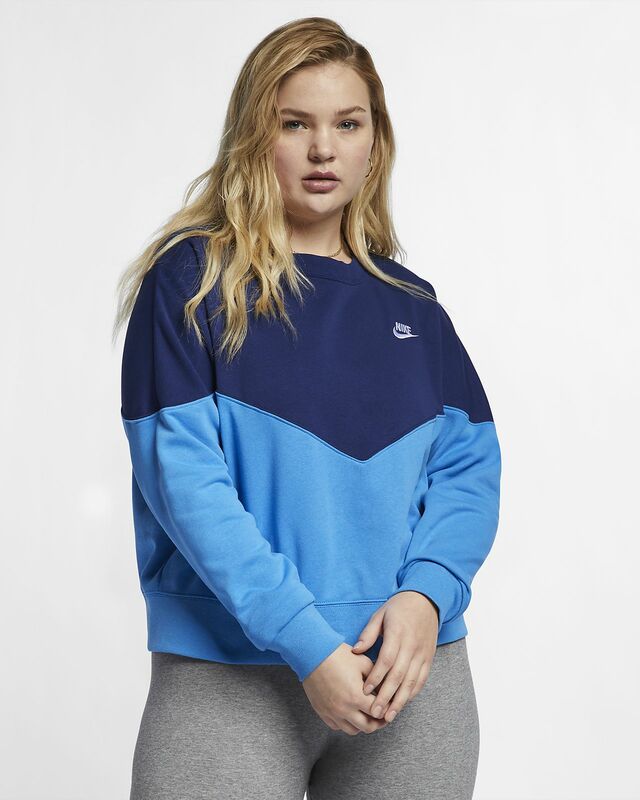 Make it memorable in the Nike Sportswear Heritage Crew (Plus Size), a timeless style made with soft fleece fabric. The chevron design throws it back to Windrunner style, while ribbed details add a classic look. Brushed fleece is warm and cozy. Chevron chest design nods to the 1978 Windrunner Jacket. Cropped design hits at the waist.